Save time! 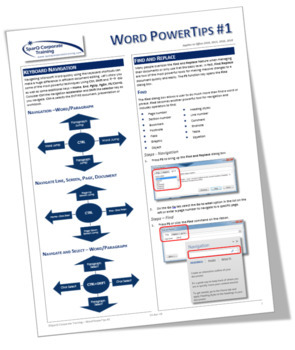 Learn the most efficient way to Navigate a Word document and quickly and easily highlight text as you go to apply changes to your document. Use Find and Replace to navigate as well as perform powerful cleanup operations such as removing extraneous paragraph or line breaks.